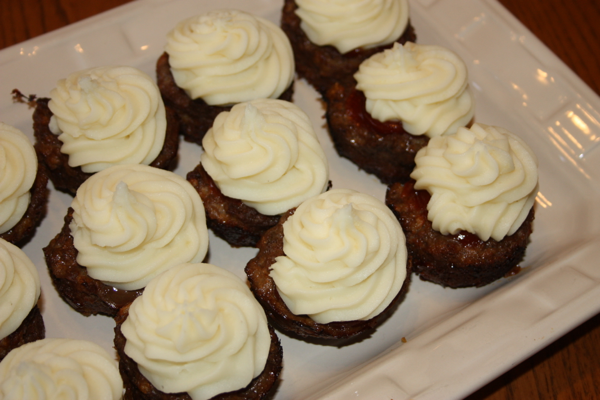 I can’t believe that I have been blogging this long and that I am just getting around to posting this recipe. In all honesty, I was sure I had already shared it with you. It is one of my all time favorite recipes. It wasn’t until I was looking for the recipe for Cinco de Mayo post that I realized it wasn’t on my blog. I apologize! This recipe should have been shared sooner. 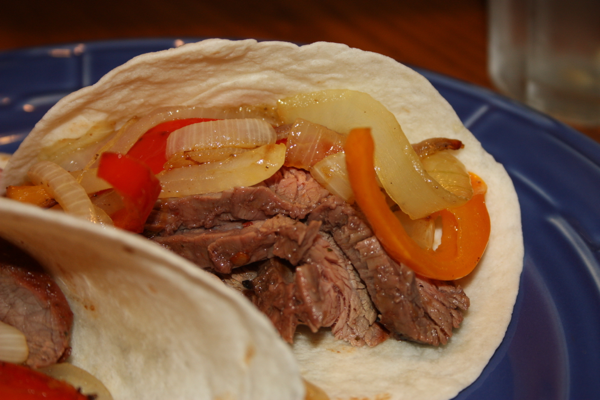 If you enjoy fajitas, please put this on your list to try soon! You will not be disappointed and you too can enjoy fajitas without having to go to a restaurant. In a 2 cup measuring cup combine orange juice, lime juice, olive oil, garlic, chipotle peppers, cilantro, cumin, and salt. Using an immersion blender, puree the marinade until smooth. Transfer mixture to a large zip-top bag with the steak. Seal and shake to coat. Refrigerate for 2-6 hours. Grill the steak over medium-high heat and cook for 4-7 minutes per side until desired degree of doneness. Transfer to a cutting board and let rest. While the meat is resting, toss the bell peppers and onions with lime juice and olive oil and season with salt and pepper. Grill the mixture or sauté for 7-8 minutes until the vegetables have softened and have some grill marks or caramelization. Thinly slice the meat against the grain and combine with the cooked veggies. Serve on warmed flour tortillas. with toppings of your choice. Our favorites are fresh salsa, guacamole, sour cream, and shredded cheese.